Boasting the songs of Leiber and Stoller and an exciting and talented cast delivering plenty of personality to the show’s legendary tunes, “Smokey Joe’s Cafe” marks a promising start to The New Younts Theatre Company. Director Melody Yasi has tapped into a delightfully playful nature to capture the show’s nostalgic feel-good vibes. She puts the fun front and center, teaming up with choreographer Kimberlee Ferreira to bring a nice mixture of high-energy choreography, and plenty of funny physical gags. Add in a vibrant cache of costumes (Stacey Hawks), a kickin’ live band, and music direction by Tim St. Clair II, and it only makes group numbers like “D.W. Washburn” and “Saved” all the more entertaining. Kristy Parker Byers’ rendition of the sultry saloon-sounding “Pearl’s a Singer” lets her show off her own powerful growl. But if you’re wondering where the smoke in Joe’s fine establishment is coming from, look no further than the sizzling vocals of Khristin Stephens, whose rendition of “Hound Dog” brought down the house only halfway through the second act. Boasting a beautiful and commanding charge of her instrument, Stephens also oozes confidence, whether she’s looking for her newest (unwilling) dance partner in “Dance with Me,” or bringing it home for her sisters as she leads the ladies in the pure girl power classic “I’m a Woman.” Stephens’ performance is easily worth the price of admission alone. 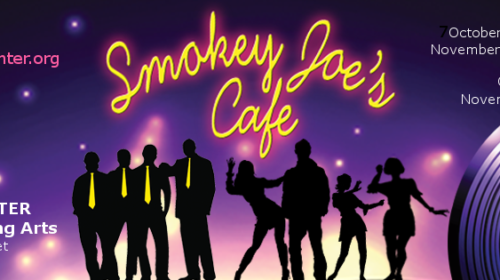 “Smokey Joe’s Cafe” runs at the Younts Center until November 4. For more information, you can visit https://www.yountscenter.org/ online, or give them a call at 864-409-1050. The YOUNTS is here to stay! 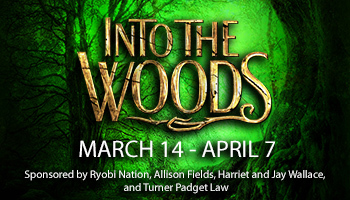 Way to go YOUNTS Theatre Company! Fantastic show!!! !